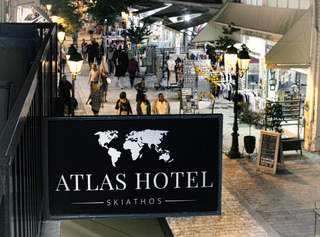 Offerte hotel SKIATHOS. Scopri i nostri hotel e appartamenti più convenienti per il tuo viaggio. With a stay at Angela Pension in Skiathos (Skiathos Town), you'll be minutes from Papadiamantis House and close to Port of Skianthos. This aparthotel is within close proximity of Megali Ammos Beach and Achladies Beach. Make yourself at home in one o..
FacilitiesWireless internet access is available to travellers in the public areas. There is also a garden. Those arriving in their own vehicles can leave them in the car park of the hotel.RoomsRooms feature air conditioning and a bathroom. A balcony ..
FacilitiesA bar is available to travellers. Wireless internet access is available to guests in the public areas. There is also a garden. Those arriving in their own vehicles can leave them in the car park of the apartment complex.RoomsRooms feature a..
With a stay at Pension Vasiliki in Skiathos (Skiathos Town), you'll be minutes from Papadiamantis House and close to Port of Skianthos. 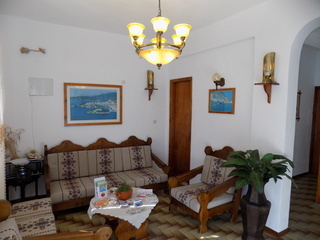 This aparthotel is within close proximity of Megali Ammos Beach and Achladies Beach. Make yourself at home in one..
L'Appartamento Ã¨ stato costruito nel 1990. L'Appartamento Ã¨ stato completamente ristrutturato nel 2016. Il complesso comprende 26 camere. La struttura Ã¨ costituita da 20 camere doppie e 6 appartamenti. Questo famoso complesso residenziale si trova..
Hellen Studios is centrally located in Skiathos, walking distance from Megali Ammos Beach and close to Papadiamantis House. This apartment is within close proximity of Port of Skianthos and Achladies Beach. Make yourself at home in one of the 11 gue..
FacilitiesA baggage storage service is available to travellers. Wireless internet access is available to guests in the public areas.RoomsEach of the rooms is appointed with air conditioning and a bathroom. A balcony is included as standard in most ro.. When you stay at Mimoza Studios in Skiathos, you'll be near the beach and minutes from Papadiamantis House and Port of Skianthos. This apartment is within close proximity of Megali Ammos Beach and Achladies Beach.Rooms Make yourself at home in one ..
Il complesso comprende 7 camere. Questo famoso complesso residenziale si trova in una posizione perfetta per chi vuole andare alla scoperta della zona. L'Appartamento mette a disposizione degli ospiti una terrazza. Per la comoditÃ degli ospiti, Ã¨ d..
L'Albergo Ã¨ stato rinnovato nel 2016. La struttura ha un totale di 18 camere. L'Albergo vanta . Questo famoso hotel Ã¨ l'ideale per un soggiorno perfetto, per chi viaggia per affari o per piacere. ..
FacilitiesA baggage storage service is among the facilities. Wireless internet access is available to guests in the public areas. There is also a garden.RoomsRooms feature air conditioning and a bathroom. The standard features of most rooms include a..
FacilitiesServices and facilities at the hotel include a baggage storage service and a transfer service. Wireless internet access is available to guests in the public areas.RoomsEach of the rooms is appointed with air conditioning and a bathroom. A b..
FacilitiesA bar is available to travellers. Wireless internet access is available to guests in the public areas.RoomsEach of the rooms is appointed with air conditioning and a bathroom. A balcony is included as standard in most rooms, offering additi..
LocationThis hotel is located 400 m from the centre of Skiathos town on the green island of Skiathos (Sporades). It provides very convenient access to all the island's settlements and beaches. It is just 300 m from the beach, 500 m from shops and gue..
FacilitiesA breakfast room, a bar and a fireplace are available to guests of the hotel. Wireless internet access is available to travellers in the public areas.RoomsEach of the rooms is appointed with air conditioning, a kitchen and a bathroom. A bal..
**Winner of Tripadvisor Certificate of Excellence 2014**La Piscine Art Hotel Is a stylish and modern hotel situated in the centre of Skiathos, just a short walk from a range of shops bars and restaurants and within a mile of Megali Ammos Beach. Offer..
Hotel DescriptionCore Luxury Suites is a complex of luxury Suites situated in a vast forestry environment. Thanks to its privileged location the complex is offering amazing view to the sea and to Skiathos Town. Each Suite is uniquely designed to make.. Located in Skiathos (Skiathos Town), Kallisti Apartments is minutes from Papadiamantis House and Port of Skianthos. 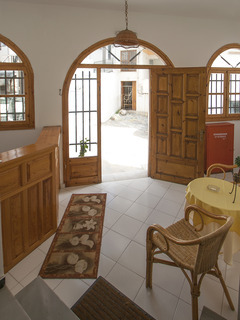 This 4-star guesthouse is within close proximity of Megali Ammos Beach and Achladies Beach. Make yourself at home in one of the 10 ai..
Property Location Located in Skiathos, King Size Villas is within a 5-minute drive of Platanias Beach and Achladies Beach. This 4-star villa is 1.6 mi (2.6 km) from Diamandi Beach and 2.2 mi (3.6 km) from Vassilias Beach.Rooms Make yourself at home ..
FacilitiesA baggage storage service, a bar and room service are available to guests of the apartment hotel. Wireless internet access is available to travellers in the public areas.RoomsEach of the rooms is appointed with air conditioning. Small meals..